To the average onlooker, the Celerio isn't much more than a grown up Alto 800. And to a large extent they would be right  it's a little bigger, has a little more style and packs a few more features. 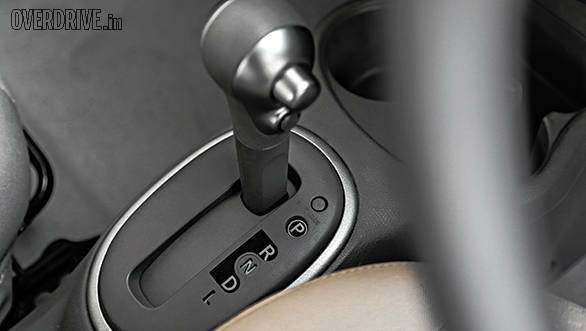 As a car, there really isn't anything very revolutionary about the Celerio; except for its brand new gearbox. 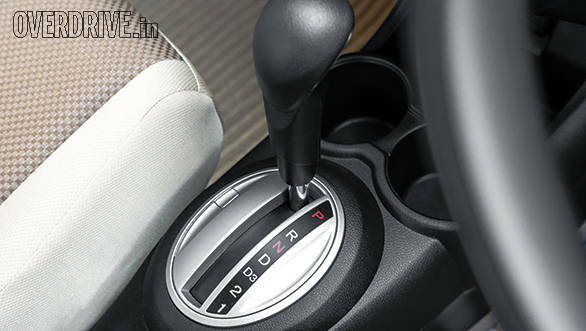 The Celerio uses an automated manual  essentially a manual gearbox with an automated clutch action. The 'AMT' has the major advantage of being cost effective, both to buy and run. The Brio and Micra meanwhile respectively use more traditional torque convertor and CVT automatic gearboxes. Thus, what you're about to read isn't a standard car versus car test but more of a comparison of driving experiences. How does this new system feel when compared with the two considerably more expensive rivals who offer the more standard automatic gearbox options available today? Much has been spoken about these three in this department. In brief, the Celerio is a larger Alto 800 with hints of the Etios Liva. It's no stand out but it isn't a bad design either. 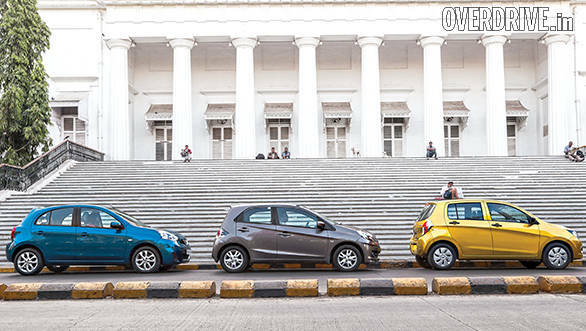 The Brio is still the funkiest of the three with a delightfully cheeky look only the Japanese can pull off. The Micra on the other hand is a cheerful, rounded design that is now more unisex than feminine after last year's facelift. The Celerio isn't very out of its league in the interiors either, offering a smartly laid out dash with an audio system that supports USB and AUX connectivity. Where it loses out is in its thin seats that simply can't match the design or comfort of the other two. Despite having a longer wheelbase than the Brio it is the most cramped at the rear with my knees touching the driver's seat which has been adjusted for my 6'1'' frame. The Brio on the other hand has the most basic and plastic looking interiors. They are built very well although it doesn't offer quite as many features as the Nissan. 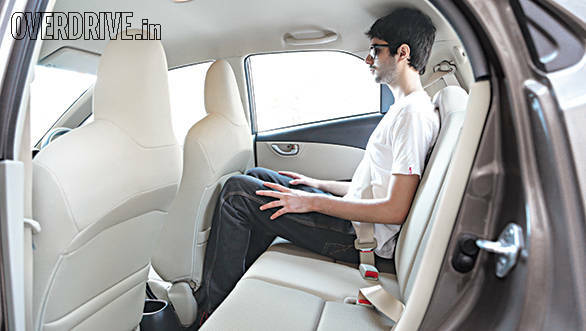 Besides the extra kit, the Micra also has the best looking and most spacious interior although the Brio has better seats. The Celerio uses the peppy 998cc three-cylinder K-Next (originally the K10) engine. The 68PS/90Nm motor is rev happy but makes that typical whine most small Marutis do. It's got some poke and it doesn't have a lot of weight to push around so performance depends entirely on how well the AMT gels with the motor. Initial impressions are good and the gearbox engages smoothly from a standstill. It can occasionally get jerky if you're crawling and have to constantly get on and off the throttle but for the most part it's a smooth affair. The Celerio is the only one here with the option to manually shift gears but even in automatic mode downshifts arrive reasonably quick. Stomp on the throttle at 60kmph in fifth gear and it will drop straight down to second gear. However the problem is in the upshifts  they are the slowest I have ever experienced on any form of automatic. At about 3000rpm under gradual acceleration the box will want to upshift and you will feel the clutch engage and the next cog get selected. The entire process takes over a second which results in a lurching, back and forth experience that gets quite annoying. You recline into the seat under acceleration and then swing forward into the seat belt on every shift. 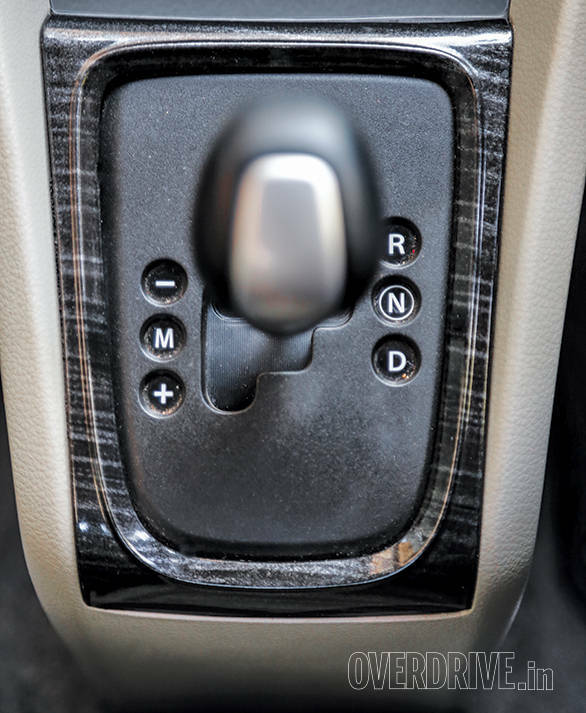 Fortunately there is a way around this  simply lift off the throttle every time you want an upshift. At reasonable revs you can control upshifts by lifting off the throttle when you think the engine is ready for the next cog. It works almost always and makes the driving experience far smoother. 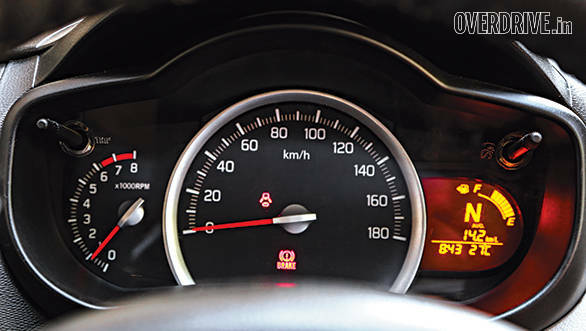 There's also no Park mode and Maruti suggests you keep the car in N or neutral when parked. That can be dangerous if you forget to use the handbrake. So while you may have to do some more work to be smooth it is still far less stressful than a proper manual as there's no clutch to deal with. 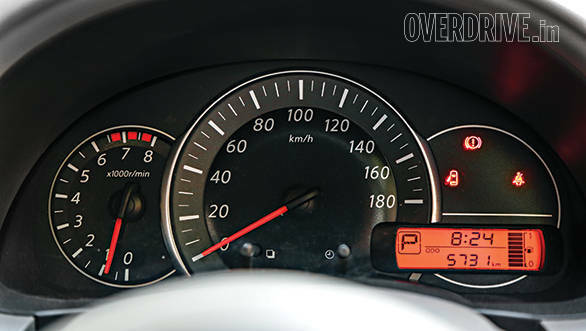 However a big factor behind the Celerio's appeal is its mileage figure  15.5kmpl in the city and 21.6kmpl on the highway which results in an overall figure of 17kmpl. That's considerably higher than the Brio's 14.5kmpl and Micra's 14.3kmpl. 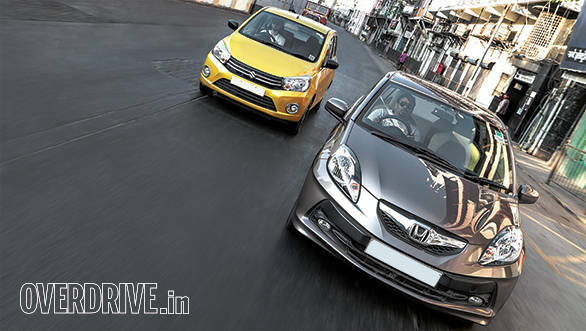 The Brio comes with a standard 5-speed torque converter mated to Honda's excellent 1.2-litre 88PS/109Nm engine. It's the most powerful engine here and the gearbox is responsive and fairly quick. The downside is that it's a little too eager to downshift which gets the revs up every time you prod the throttle even a little. Overall drivability in town is smooth and easy. But the Micra is smoother still. It may have a three-cylinder motor like the Celerio's but it is refined and decently powerful, producing 77PS and 104Nm. The CVT works perfectly in city, being both smooth and responsive but like most CVTs flooring it means the revs rising and staying at a steady 5000 odd rpm - not a very nice noise. The Micra is the quickest from 0-100kmph, taking 15.8 seconds to the Brio's 16.1 seconds. 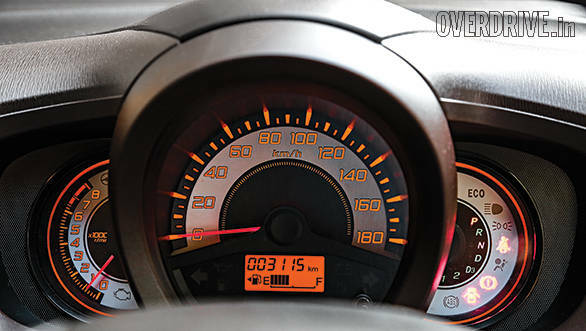 The Celerio takes 17.1 seconds  it would have been considerably quicker if the gearbox shifted faster. None of these cars are built for the highway but all three take it in their stride and offer decent straight line stability. The Brio is the best handler but feels a little stiff on broken roads. The Micra offers the best ride quality and comfort while the Celerio is perfectly acceptable in both regards but there is a clear step down in suspension sophistication when compared with the other two. All three have light steering and good visibility, making them easier to manage on city roads. The Brio and Micra are both accomplished and practical city cars with the Micra edging ahead thanks to a larger cabin, more features and better driving comfort. 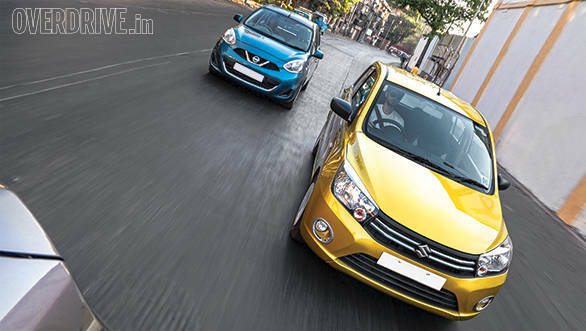 However this comes at a price and both cost more - Rs 1.8 and 2.3 lakh respectively over the Celerio. At Rs 4.6 lakh ex Mumbai for the top AMT (the VXI) the Celerio makes for very tempting value. Yes, the Celerio is clearly not an enthusiast's car  the box is simply too lazy for spirited driving. However it does what it was designed to do stupendously well and that is bring affordable clutchless driving to the masses. 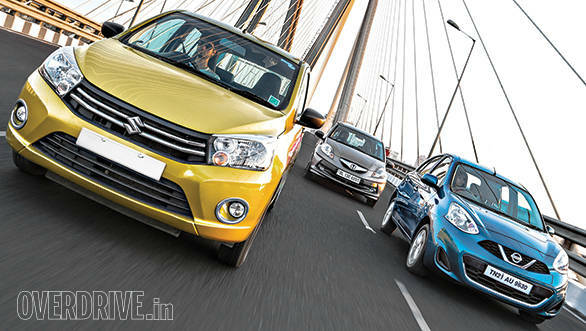 I only have one issue with the car and that is that Maruti doesn't give buyers the option of ABS or airbags for AMT. Manual customers can specify both for an extra cost but customers buying the (more expensive) AMT simply can't have these vital safety features. This is a gross exclusion and Maruti really should offer at least ABS as standard in the top AMT model. ABS often helps prevent the incidents that make airbags useful and it should technically be compulsory in all cars like in USA and Europe. But that's a discussion for another time. The moral of this story is that the Celerio is destined to be more than just another blockbuster for Maruti. It will go down in the history books as the car that introduced the average Indian driver to the world of automatics. And once you've been introduced to that world, there's no going back.